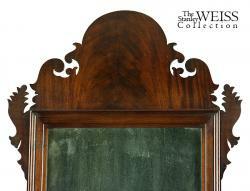 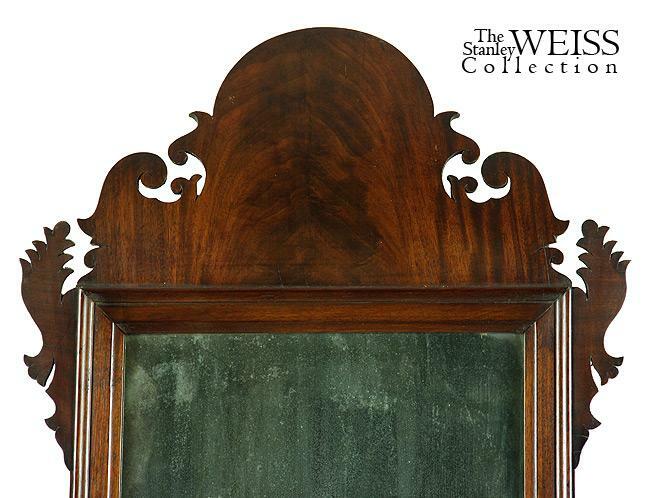 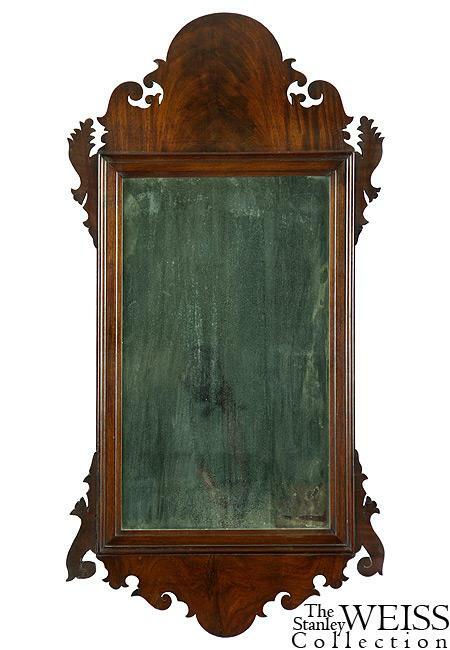 This is a good sized Queen Anne mirror composed of magnificent figured mahogany that has mellowed through the years. 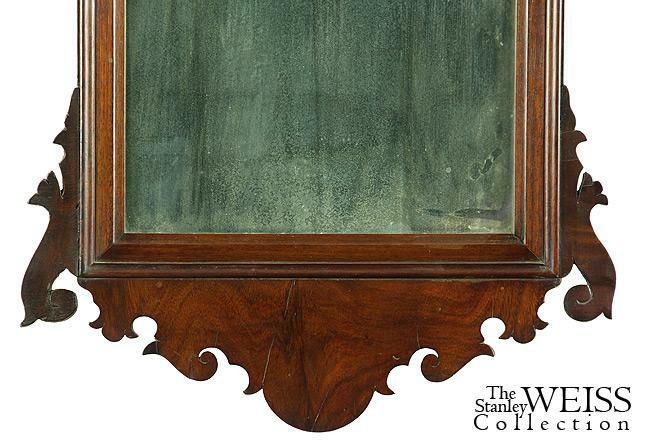 The glass, backboard, etc. 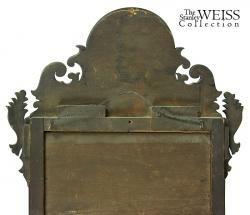 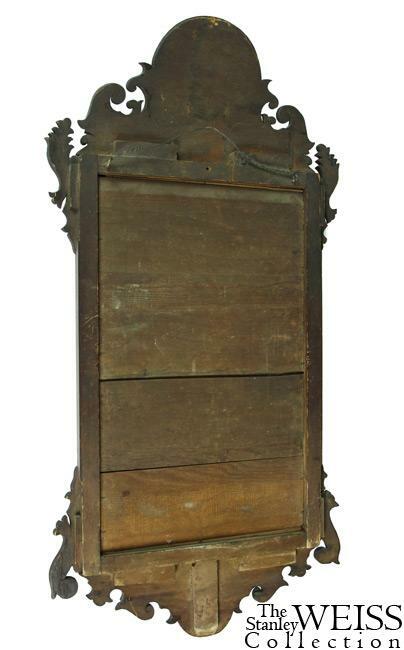 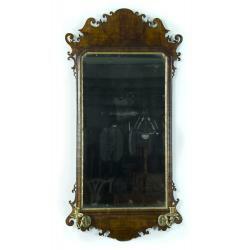 are all original and the silhouette carving of this mirror is extremely well developed and one of the best of its kind. 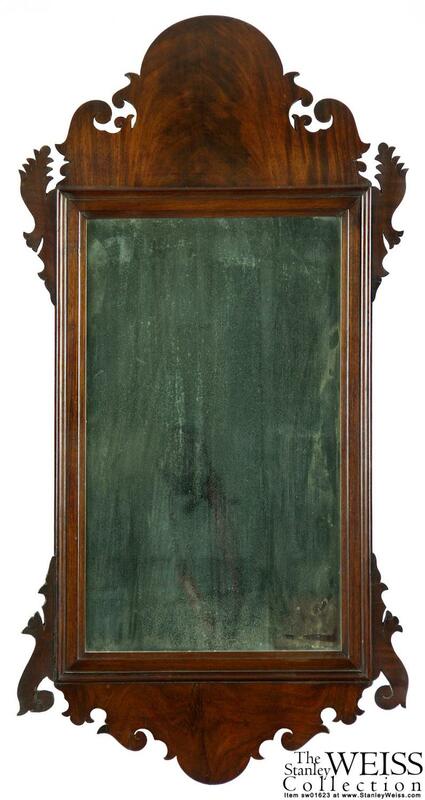 Height: 38 in. 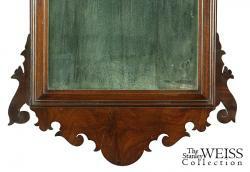 Width: 19 in.